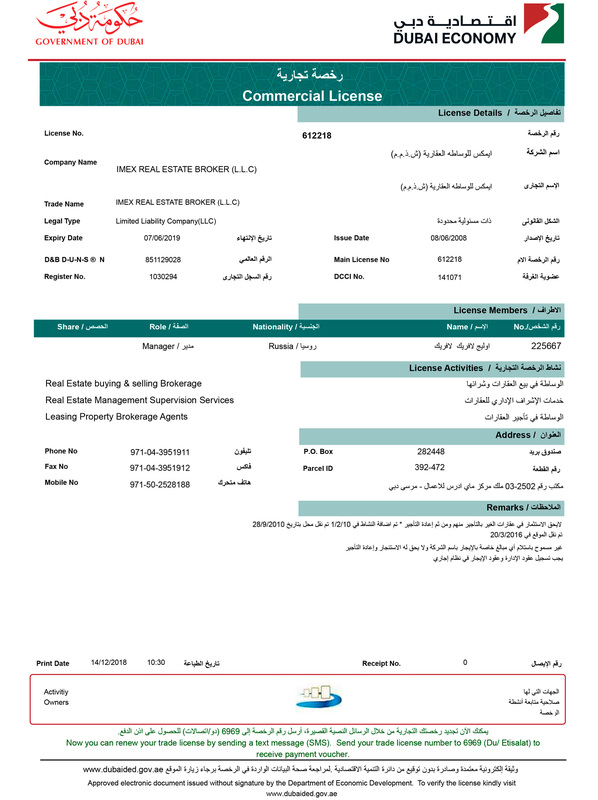 With nearly a decade's worth of experience in the Dubai market, we are independent realty specialists with a key focus on freehold property. 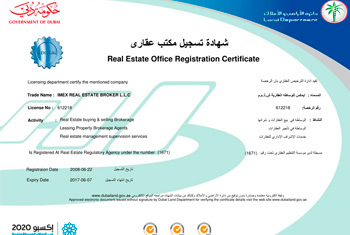 Incorporated under Department of Economic Development Commercial License No.612218, IMEX Real Estate is a fully licensed company for Buying, Selling and Leasing brokerage and Real Estate Management Supervision services in the Emirate of Dubai. 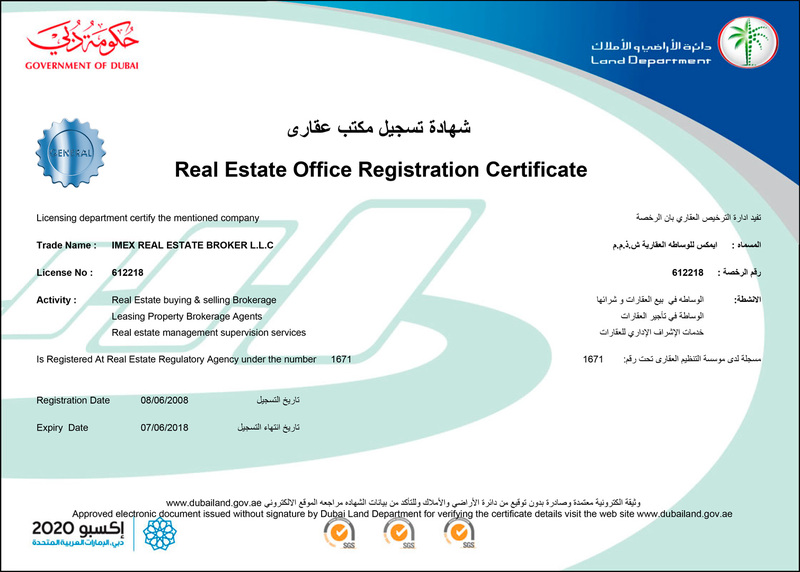 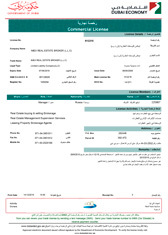 Our main office registered with Dubai Real Estate Regulatory Agency under ORN 1671. 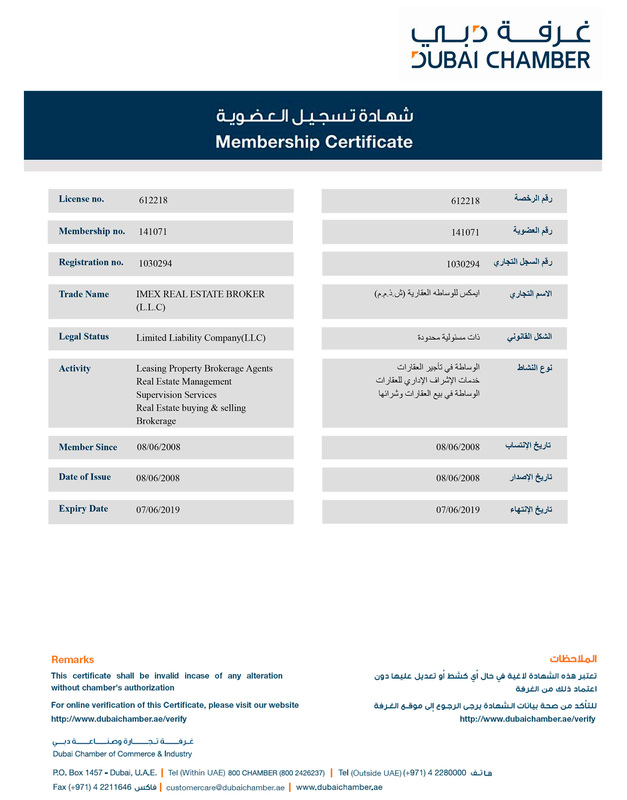 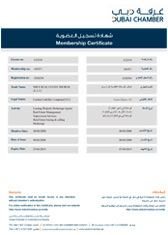 IMEX Real Estate also proud to be a member of Dubai Chamber of Commerce.